As of April 9, the Arctic had around 13.6 million square kilometers (5.3 million square miles) of ice cover, putting it firmly below any other year on record for the same time of year, and nearly two weeks ahead of previous early April records set in 2017 and 2018. The implications of such low sea ice extent for this time of year is concerning to scientists. However, predicting seasonal ice melt is very difficult, and changes in Arctic weather could cause the early melt to stall, or even reverse to some degree. Two new Arctic studies are also troubling. Researchers have found that between 1998 and 2017, seventeen percent less ice exited shallow continental shelf seas — nurseries for sea ice — to reach the Central Arctic Ocean and Fram Strait. This loss in ice being transported could have serious implications for Arctic sea ice melt and impact biodiversity as well. A second study found that rising Arctic air temperatures are driving change across the entire ecosystem. Hotter temperatures are impacting forest and tundra growing seasons, increasing wildfires, boosting rain and snowfall, and melting ice — shifting the region from its 20th century condition into an unprecedented state. When Arctic sea ice hit its maximum winter extent on March 13, the world paid little attention. 2019 wound up tying for seventh lowest winter extent in the 40-year satellite record — a forgettable statistic in a period of back-to-back record breakers. But as scientists noted at the time, the Bering Sea, separating Alaska and Russia, was abnormally ice-free. 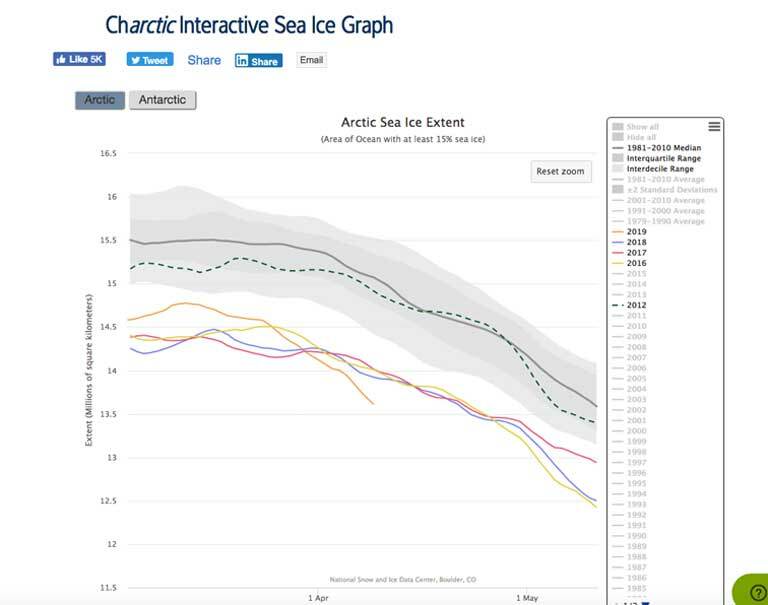 In the weeks since the underwhelming March headlines, the Arctic has surprised almost everyone: sea ice extent has plummeted by more than a million square kilometers (386,000 square miles) in an unusually sharp decline. The Arctic now has around 13.6 million square kilometers (5.3 million square miles) of ice cover, putting us firmly below any other year for the same date, and nearly two weeks ahead of previous early April records in 2017 and 2018. As we head into the summer melt season, the implications are concerning. Though final summer sea ice extent is largely dictated by weather patterns, we’re more than a million square kilometers below mid-April 2012; that year experienced the lowest summer sea ice extent to date, and we’ve already dipped past 2007, 2011 and 2016 for this time of year, which placed second, third and fourth lowest for September minimum extents, respectively. What’s happening in the Bering Sea right now is emblematic of much larger changes in the global Arctic. Two studies published in recent weeks provide a disconcerting look at the vulnerable region’s past, present, and future. When researchers at the Alfred Wegener Institute compiled satellite data from 1998 to 2017, they found that 17 percent less ice from shallow Russian coastal shelf seas — including the Kara and Laptev — is reaching the Fram Strait (located between Greenland and Svalbard) where ice exits the Arctic to the North Atlantic. 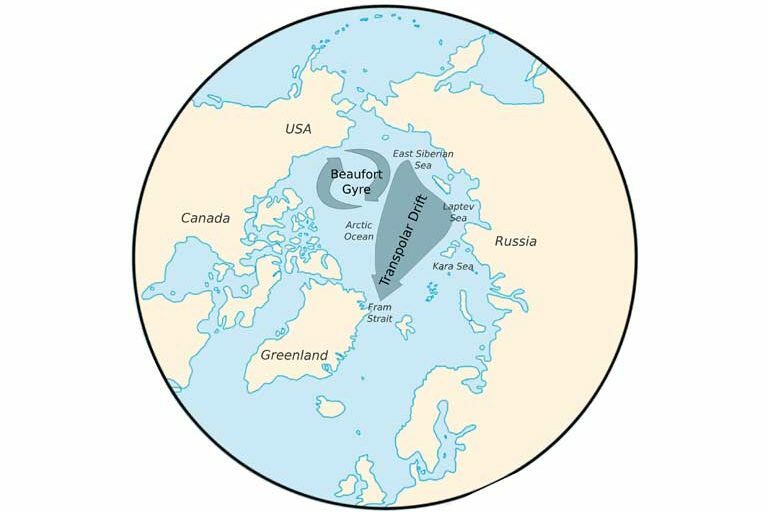 Those shallow coastal seas are considered a sea ice nursery of sorts, and produce a large amount of the sea ice that, under past circumstances, would eventually make its way into the vast Central Arctic Ocean, then out through Fram. Though these seas are still producing the same amount of ice, more and more of it is melting before it can ever make it out of the coastal zone. 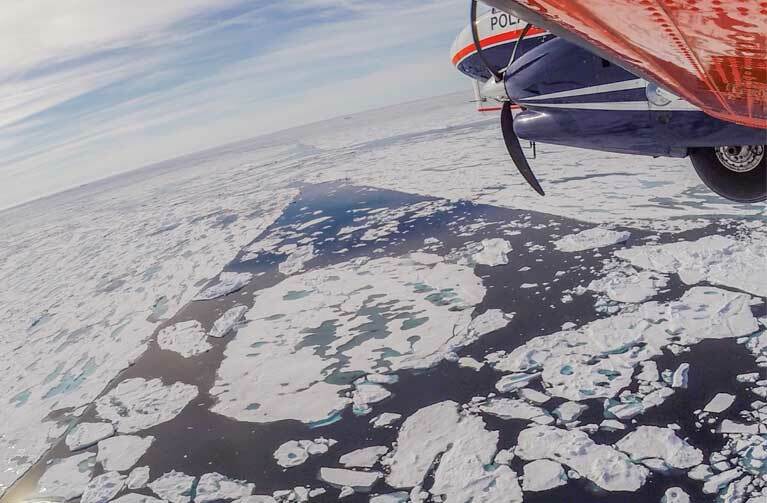 Because of this thinner, lighter ice, the Transpolar Drift — the current that leads from the shelf seas to the Central Arctic Ocean — is speeding up. Though this new trend led some to speculate that an increase in speed might compensate for the decline in ice cover, as remaining ice travels farther faster, Thomas Krumpen, lead author of the study, says that hasn’t been the case. The young ice is still melting too fast for a speedier current to make up the difference. The speed up of Transpolar Drift is not only impacting ice, but possibly affecting Arctic biodiversity as well. 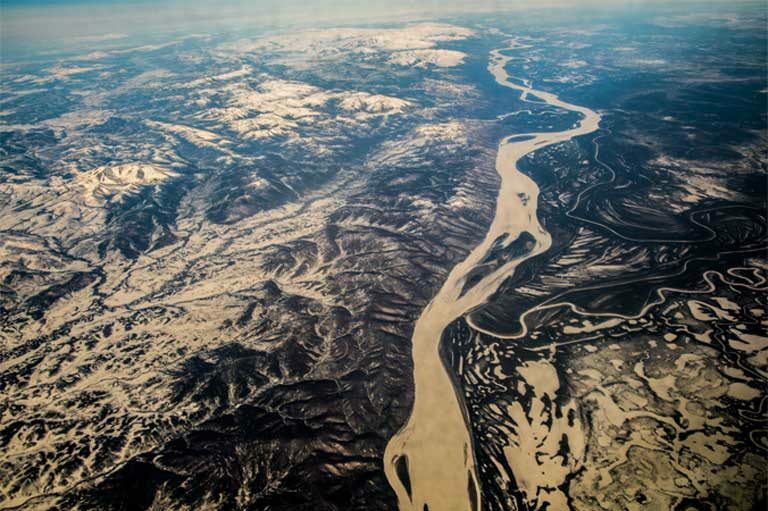 Many rivers empty into the Arctic Ocean into the shallow shelf seas, which means the ice formed there is rich in nutrients and sediments, as well as pollutants. Under normal conditions, these ice-encased particles are transported from the coastal zones into the Central Arctic Ocean. But if ice isn’t surviving after leaving the nursery, those nutrients aren’t reaching the distant species that depend on them, and pollutants aren’t being dispersed either. Researchers do know that at some point in the not-too-distant future the Arctic Ocean will experience ice-free summers. Most peg that point in time to be around 2030 or 2040, but some say it could come sooner. 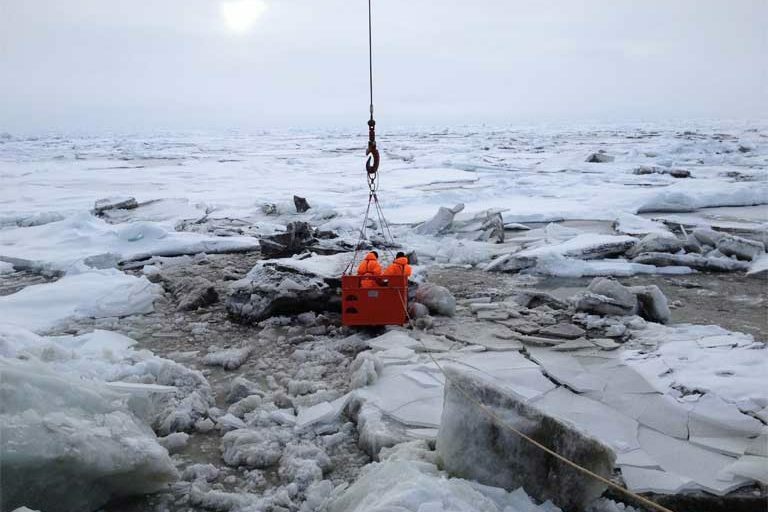 When that happens, material trapped in sea ice will only be able to travel for up to eight or nine months — the lifespan of seasonal ice before it melts. Another study published last week in Environmental Research Letters, reveals that rising Arctic air temperatures are the key component driving change across the ecosystem. In summer months, the Arctic is warming 1.7 times faster than the rest of the Northern Hemisphere. In winter months, that jumps to 2.8 times faster. These hotter temperatures are impacting everything up north — shifting forest and tundra growing seasons, increasing tundra wildfires, boosting rain and snowfall, and of course, melting ice. In addition, as other studies have shown, these sweeping, region-wide ecosystem changes are in turn adversely impacting wildlife. 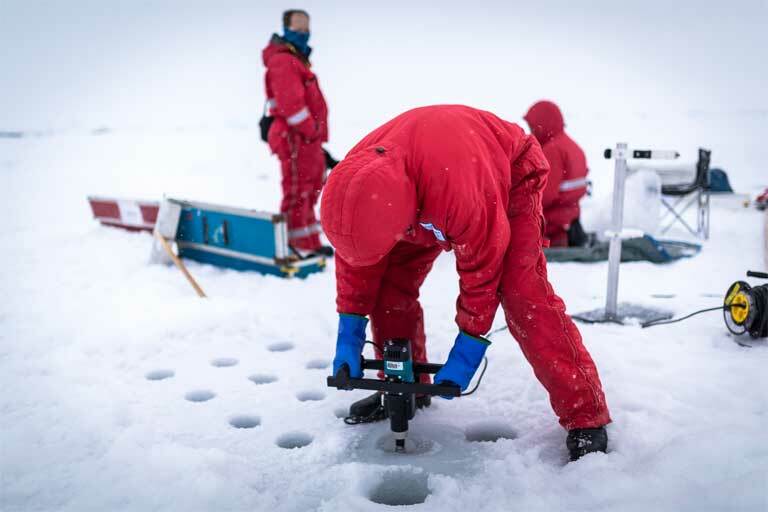 “The Arctic system is trending away from its 20th century state and into an unprecedented state, with implications not only within but beyond the Arctic,” says lead author Jason Box of the Geological Survey of Denmark and Greenland. Box, Jason E., et al. Key indicators of Arctic climate change: 1971–2017. Environ. Res. Lett. 2019; 14 (045010). Krumpen, Thomas, et al. Arctic warming interrupts the Transpolar Drift and affects long-range transport of sea ice and ice-rafted matter. Scientific Reports, 2019; 9 (1).